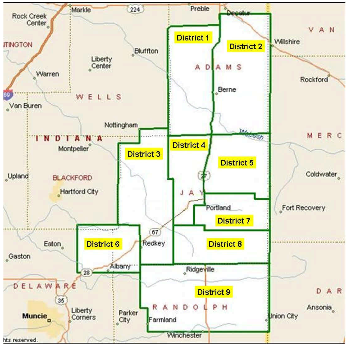 The Jay County REMC provides service to all of Jay county and portions of Adams, Blackford, Delaware, Randolph and Wells counties. To view Jay County REMC and all other service areas in Indiana click below. Call our office at (260) 726-7121 or (800) 835-7362 for more information.